The Raving Queen: Girls, Can You Believe It Has Been Forty Years???????????????? Girls, Can You Believe It Has Been Forty Years???????????????? On this date, darlings, back in 1973, when, in just three days, yours truly was about to graduate from high school, "The Exorcist" opened, in New York City. For many, including myself, who had absorbed the book, it was the most anticipated movie of the year. I remember the massive cast search for Regan, the most coveted youth role of the day. I remember wanting to play it myself, and resenting that the character, which, in the real case had been a boy, had been rewritten as a girl. How about the mass paranoia that shook the country, as viewers in those early days screamed in shock, fainted, or went up to the screen, and attacked it???????? I not only wanted to see the film, I wanted to see all this outside drama. But, in those early days, you could not even get a ticket!!!!!! You had to stand in line for hours--like if Meryl Streep weer appearing at the Delacorte--and sometimes you did not get a ticket for that day. Maybe the next. Or the one after that. I finally saw the film in December of 1973, while on hiatus from having just completed my first semester in college. I was joined by my friends Doug and Marc,. and our foray into the city was a big deal for us Jersey boys, who were barely out of our teens, then!!!!!!!!! How times have changed!!!!!!!!!! It was gripping and emotionally jolting, held together by the acting of Ellen Burstyn, Jason Miller and Linda Blair! I remember being disappointed with the visual effects; Regan's deterioration from cute child into magazine cover monster is not how I pictured her wasting away, and the vomit she spewed forth I never imagined looking so obviously pea soup-ish!!!!!!!!! So, to an extent, I was disappointed. I thought the film lacked the reality of the book. In the intervening years, I still maintain that view, as well as the opinion that what holds the film together like glue, and always did, and will, is Burstyn, Miller and Blair. Ellen Burstyn, in particular, grounds the whole thing in reality; she is a mother trying to do what is best for her child, and her concern and caring are all too palpably real, even four decades later!!!!!!!!!!!!!!! Four decades!!!!!!!!! Back in '73, that seemed like an inconceivable Eternity!!!!!!! How fast the years have flown by!!!!!!!!!!! Who thought they could??????????????? 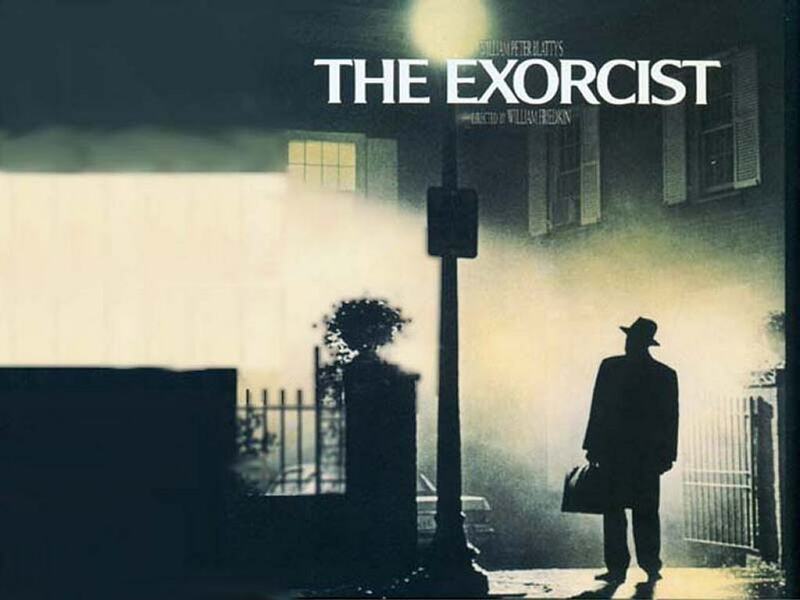 And, thankfully, some of us are still around who remember "The Exorcist" in its early days, and salute it on its 40th Anniversary. Curl up with that DVD, and get possessed, darlings!!!!!!!!!!! But pay no attention to what Captain Howdy says!!!!!!!!!!!!!!!!!!!!!!!!!!!!!!!!! !